Kuala Lumpur, 26 June 2014 – Ducati Malaysia (Next Bike Sdn Bhd) maintained its steady momentum with the second half of 2014 looming with the launch of its most performance-oriented Ducati Monster variant yet – the 1200 at an event held today at Monkey Garage Café, Bangsar.Present at the event were En Nik Danial Nik Mahmood, Vice President of NAZA Two Wheels & Four Wheels Division and Mr. CW Juan, General Manager of Next Bike Sdn Bhd. 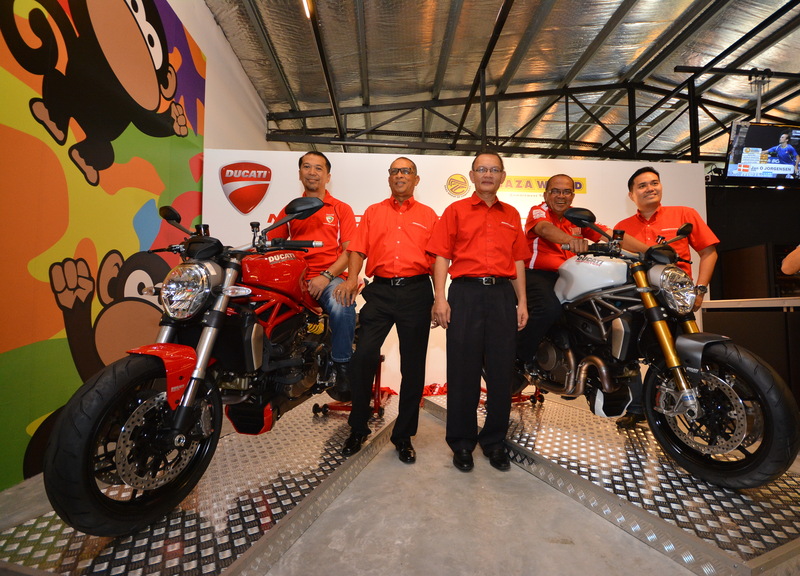 “The latest incarnation of the ever iconic Ducati Monster is a very important model to Ducati and Next Bike Sdn Bhd. To date, many have found homes in Malaysia. We aim to sell 100 – 120 units of this Monster 1200 family in 2014,” said Datuk Wira Hj SM Faisal Tan Sri SM Nasimuddin, Joint Group Executive Chairman of NAZA Group of Companies.“The biking community here is strong and very supportive towards the brand and this particular model, something we are very appreciative of. We are aware that there are still enthusiasts who want something more serious which is why we have decided to bring in the Monster 1200,” furthered Datuk Wira Hj SM Faisal. “We hope that the introduction of the Monster 1200 leads to a stronger bond between Ducati Malaysia and Ducatistis in the country. This new bike will definitely strengthen the Ducati brand here but its successful introduction gives us no reason to rest on our laurels. We are committed to delivering more exciting models in the future of which one would be coming next month on top of ensuring that the ownership satisfaction of our customers is not just maintained, but enhanced over time,” Datuk Wira HJ SM Faisal added. Despite being a thoroughly more serious track machine than other models in the Monster range, the family DNA is still evident in the Monster 1200. The naked performance bike features the model’s signature Trellis frame, ensuring that onlookers make no mistake of the bike’s identity. There are, however, several subtle changes to the chassis. 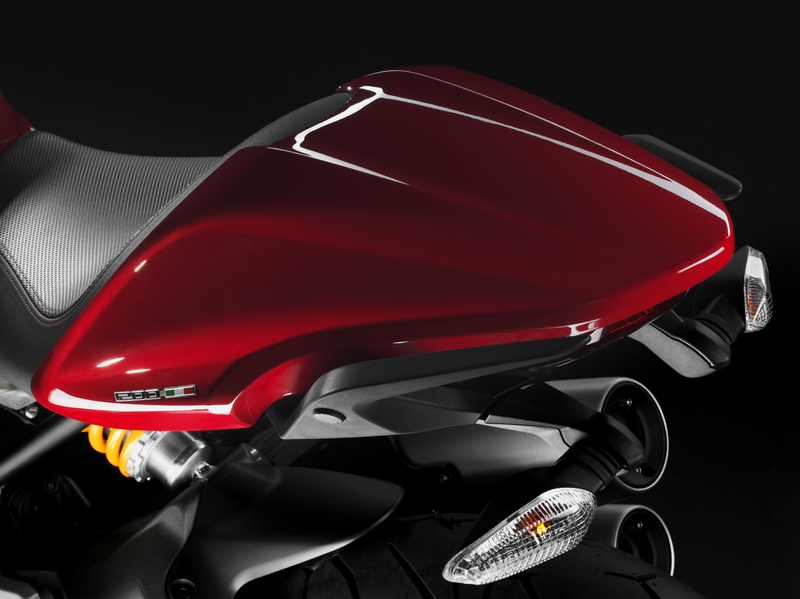 The frame’s attachment points move directly onto the new engine’s cylinder heads in a similar construction method to the Panigale Superbike. This compact frame design and large diameter steel tubing results in greater torsional stiffness compared to previous models. While unmistakably a Monster at a glance, there are dimensional differences between the 1200 and its other siblings. Its wheelbase is up by 60mm for greater stability and two-rider comfort while rider ergonomics are improved by handlebars that sit 40mm higher and 40mm closer to the rider. Tucked behind the sculpted 17.5-litre fuel tank is a new seat which is height-adjustable – a first for Ducati. The seating height can be set from a standard 810mm to a low-riding 745mm, Ducati’s lowest seat height ever. In all, the Ducati Monster 1200 weighs just 182kg. 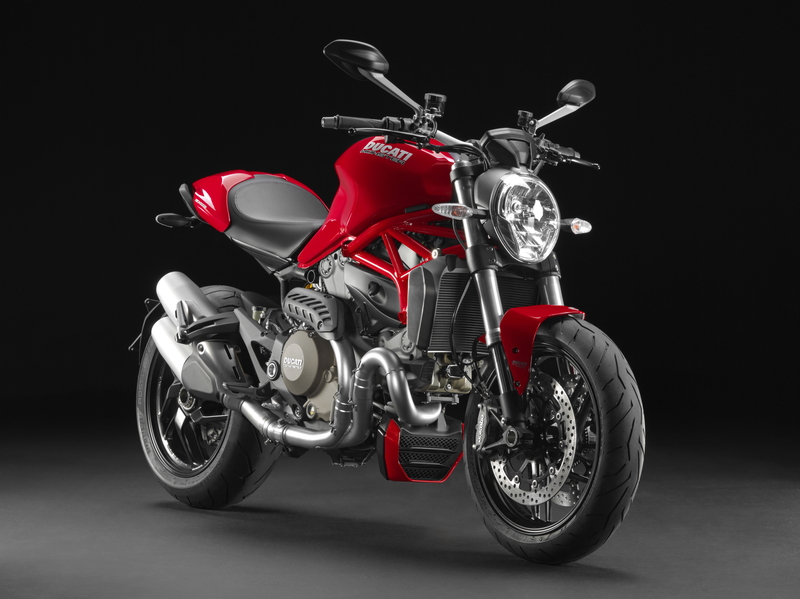 As its name suggests, the Monster 1200 is powered by Ducati’s renowned 1198cc Testastretta 11° Dual Spark ignition (DS) engine. This liquid-cooled power plant which is derived from the legendary 1198 Superbike puts out a staggering 135hp at 8,750rpm and 87lb-ft (118Nm) of torque at 7,250rpm in the 1200. Seamless airflow is maintained despite the large pool of power thanks to a 2-1-2 system capped off by 50-52mm section exhaust headers. The engine management system dedicates a lambda probe to each header to provide precise fuelling, while the cannon-style, vertically stacked silencers carry catalytic converters to provide Euro 3 conformity and electronically controlled mid-section valve to optimise exhaust pressures throughout the rev-range. Power delivery is via a Ride-by-Wire (RbW) system supplied by Mikuni. This electronic system uses Ducati’s innovative e-Grip throttle and works in varying degrees with the Ducati Traction Control (DTC) system, which comes standard in the 1200, to provide three distinct riding modes, namely Sport, Touring and Urban. The different riding modes work in tandem with the Monster 1200’s suspension for optimum levels of performance and stability. Fully-adjustable 43mm Kayaba forks provide damping up front while the rear suspension is made up of a single Sachs unit with adjustable spring preload and rebound damping. All of the bike’s ability to perform tirelessly at high speeds will not account for much without safety – an area Ducati holds in high regard. On top of being a peerless speed machine, the Monster 1200 is equipped with the Ducati Safety Pack (DSP) made up of a three-level ABS system and eight-level DTC. The ABS system’s effectiveness is boosted by radially-mounted Brembo four-piston Monobloc callipers gripping massive 320mm discs which provide the stopping power to match the engine’s massive output. Ducati takes pride in the quality of its products and their reliability. This is reflected in its owner-friendly 30,000km intervals for major service and valve clearance checks. This allows the Monster 1200 to not only be an enjoyable track machine, but an everyday bike that is worry-free to own and run as well. The Ducati Monster 1200 is available in two colors – Star White and Ducati Red. It is competitively priced at RM106,888 while the top of the line 1200S is priced at RM119,888 (on the road without insurance and registration). For more of motorcycling and motorsports updates, please do visit us on FACEBOOK and don’t forget to go on our YOUTUBE CHANNEL to watch our takes on motorcycles from all kind of brands and ranges.